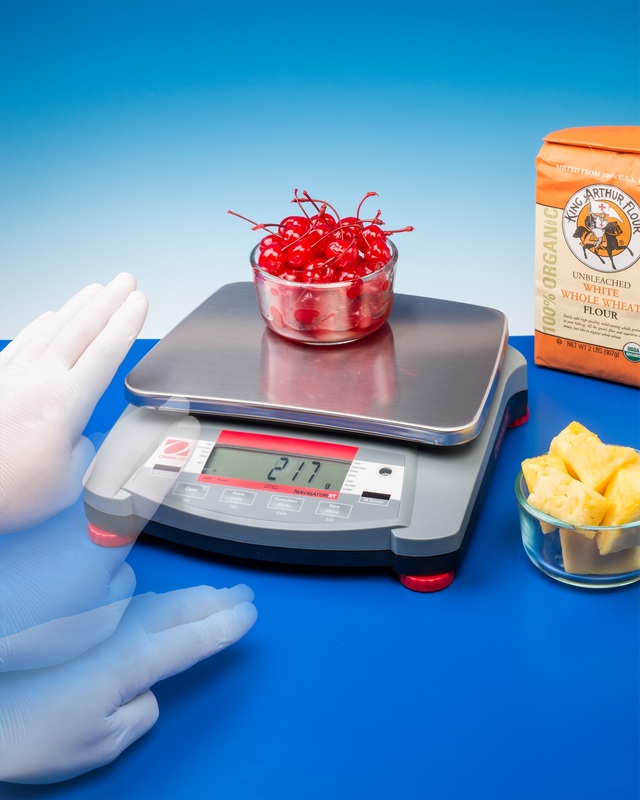 A portable electronic scale that features touch-free operation, making it ideally suited for weighing ingredients for recipes without creating a mess is available from Alliance Scale, Inc. of Canton, Massachusetts. The Alliance/Ohausâ Navigatorâ XT portable electronic scale operates by waving a hand over two infrared sensors which can be set up independently to provide up to 36 combinations of functions. Featuring an internal rechargeable battery with automatic shut-off and a 9” x 6.9” stainless steel pan, it lets users weigh ingredients without touching the keypad which prevents cross contamination and speeds recipe development. Providing < 1 second stabilization, the Alliance/Ohausâ Navigatorâ XT portable electronic scale is suitable for counting, percent weighing, checkweighing, display hold, accumulation, and totalizing applications. Standard features include a 0.78”, 6-digit, 7-segment LCD with a white LED backlit display and a sealed keyboard. Options include RS232, USB and Ethernet interface kits. The Alliance/Ohausâ Navigatorâ XT portable electronic scale is priced from $371.00 (list). Literature and pricing are available upon request.